Pick up and go camping quickly and easily with the Keystone Bullet Crossfire Travel Trailer or Keystone Bullet Crossfire Expandable Travel Trailer. 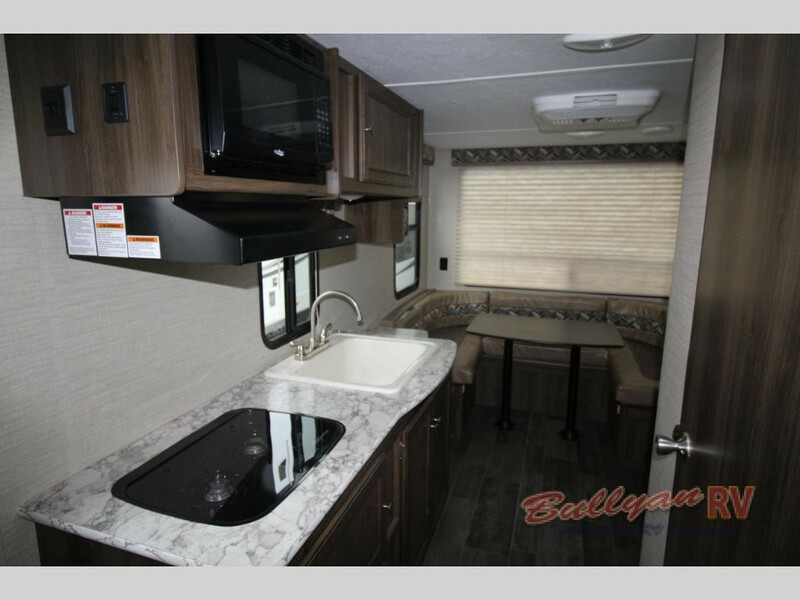 Designed to be pulled by your crossover, car, or truck, the Bullet Crossfire is a lightweight, streamlined and fuel efficient camper perfect for couples and families. 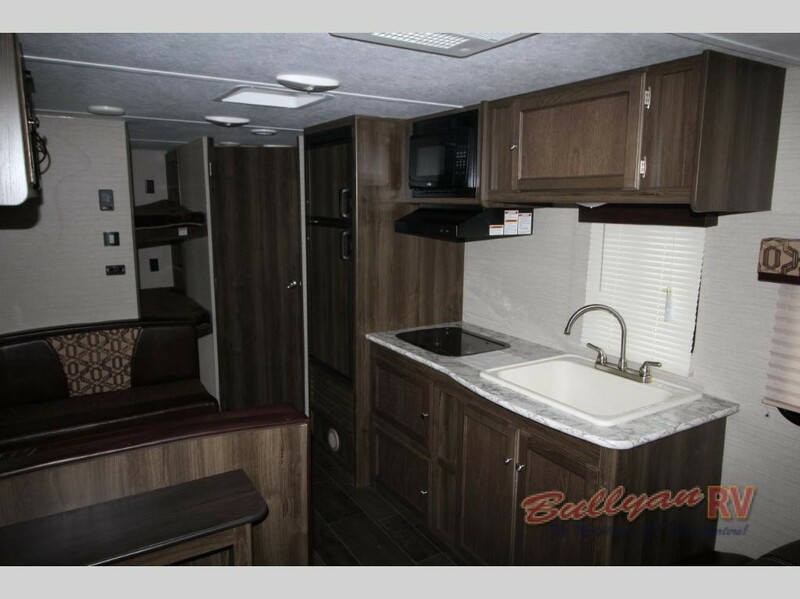 Available in both enclosed and expandable, hybrid designs, the Crossfire by Bullet is a versatile travel trailer with stylish eye appeal inside and out. 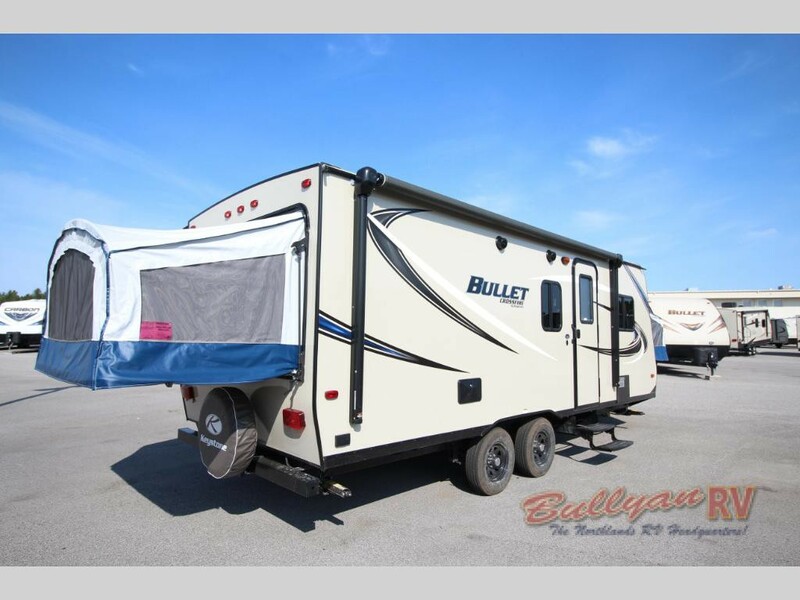 With dry weights ranging from 3240- 4400 lbs, the Bullet Crossfire is an excellent choice for campers looking to save on towing costs. With laminated fiberglass exterior side walls, aluminum framed front, end, and side walls, an aggressive front profile for increased towability, aluminum framed slide outs, and a 7.5″ steel I-beam frame, the Crossfire is built to last while maintaining an impressively light weight. Wide stance, easy lube axles also help to make the Crossfire a joy to transport to and from your next outdoor adventure. Large pass through storage with LED lighting makes packing and unpacking cargo easy, even as it’s getting dark. Inside, you will find a sleek interior with modern decor and creative, space saving floorplan designs. 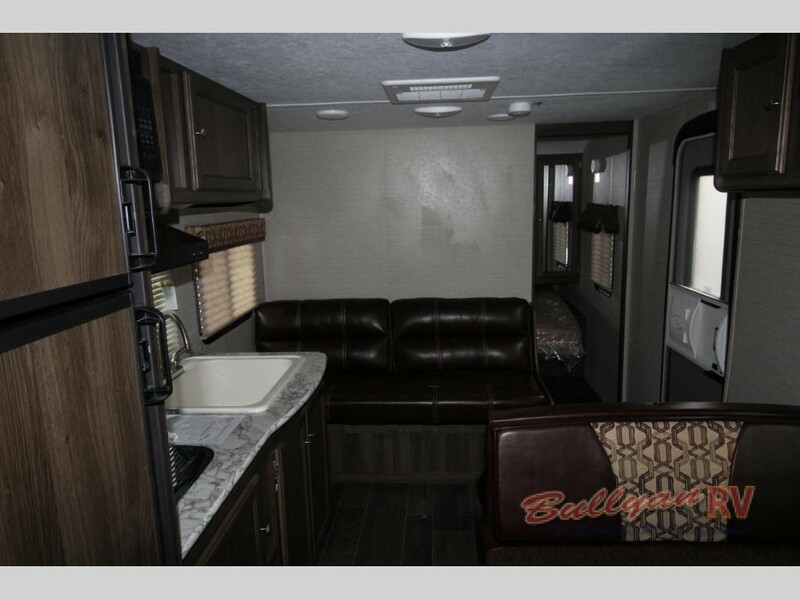 Well padded seating options provide a relaxing spot to watch your favorite show or read a good book at the end of the day. In the kitchen, you will find hard wood cabinet doors, a 6 cu/ft refrigerator, microwave, cooktop and an oversized single basin sink with a high rise faucet for easy clean up. At the end of the day, you and your family can look forward to a restful night’s sleep. The master bedroom features an upgraded foam mattress, full blackout window treatments and dual 110V outlets for easily charging wireless devices. A large under bed storage compartment allows you to bring even more clothes, toys and supplies for your camping adventure. 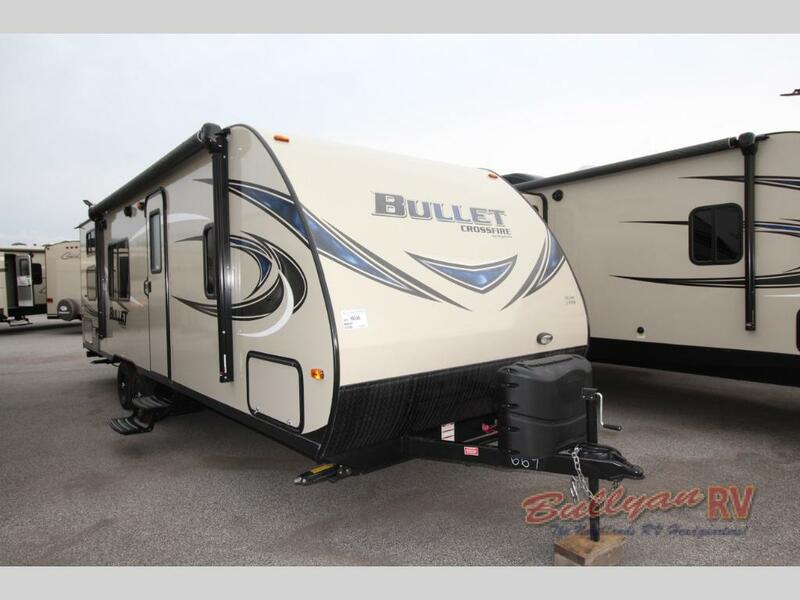 To view the a full line up of Keystone Bullet Crossfire Travel Trailers available in person, Contact Us at Bullyan RV or visit us at Our Location. Spring is almost here. Let’s get ready to go camping!